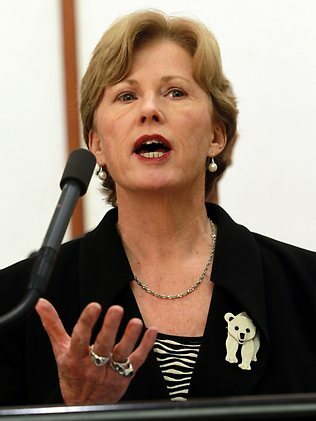 Christine Milne’s National Press Club appearance was a milestone in the personal and political evolution of the Greens leader as she announced the power sharing agreement between her party and Labor was dead in the water. Milne turned the tables on the Gillard government by declaring it was the government, not the Greens, that had, through its actions “walked away from the Greens, into the arms of the big miners”. The Greens leader was simply coming clean with the public about the reality within Parliament that the Labor Party had lost interest in its relationship with the Greens and had increasingly treated the minor party as an embarrassing liability. In doing so, Milne has differentiated the Greens from the downward voter trajectory of the ALP. She also severed her party from the government’s perceived drift to the right. This is smart politics. Instead of going down with a sinking ship, Milne’s Greens this week set sail in uncharted waters. The tensions between Labor and the Greens had been brewing for some time. The Greens were furious about the number of concessions to big mining allowed under Labor’s minerals resource rent tax which has raised only $126 million in its first six months. Milne’s attempts to persuade Gillard to return the tax to its original form proposed by Ken Henry were met with indifference or defiance within Labor ranks. On top of that, Environment Minister Tony Burke’s concessions to the mining industry in the Tarkine rainforest in Tasmania, approval of new coalmines and coal seam gas wells at Maules Creek in NSW, and the federal government’s perceived acquiescence to West Australian Premier Colin Barnett’s moves to compulsory acquisition order at James Price Point in the Kimberley meant that the Greens could no longer share a political arrangement with the Labor Party without damaging its own brand. The Greens saw a failure of leadership in the success of the mining industry’s $20 million advertising campaign that effectively saw Kevin Rudd shafted as Labor leader signalling the unchallenged power of the mining sector would prevail under Gillard’s leadership. But more than just engaging in petty parliamentary politics, Milne expanded the dialogue into the grand ideological divide playing out in Australia today by challenging those who maintain mining is the great liberator of both the economy and the only hope of empowerment for indigenous people. As Guy Pearse of the Global Change Institute at the University of Queensland and others have said before her, Milne stated that the benefits of mining to everyday Australians are often overstated in the interests of digging bigger holes. She noted “the tourism industry employs almost double the number of people than mining 4.5 per cent of Australians are employed in tourism compared to only 2.3 per cent in mining”. This reflects a party going back to its roots. The Greens formed in the 1970s in Tasmania to halt what they viewed as the forces of rapacious industrialisation going unchecked. In 2013, the party has decided it won’t sit back and allow Australia to be left an empty shell after all its resources have been sucked out. But like any other party the Greens are in it for political power and influence and yesterday’s address was a key move in positioning themselves in a challenging election year. Last month the Greens pruned their policies of any that could be used against them by a largely hostile media policies such as supporting death duties, abolishing the private health insurance rebate, freezing federal funding for private schools, and raising the company tax rate to 33 per cent. Milne’s address yesterday was the next salvo from a party that has consistently punched above its weight in the federal electoral sphere and is determined to shore up support ahead of this year’s election. The Greens are aware that the chances of Tony Abbott being installed as prime minister at the next election are high. So the time is right for the party to present itself as the antidote to the excesses of an Abbott government, and for Milne to step up as the Greens’ formidable and gutsy leader. Yesterday Milne articulated a strong alternative for Australia, but the next nine months will be the real test.